I-87024W | 4-channel 14-bit analog output module. 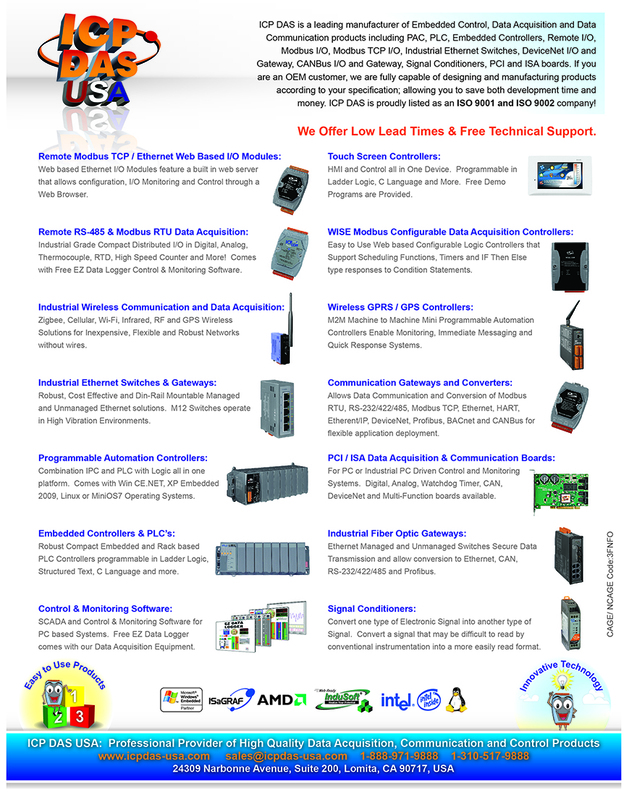 Supports 0 ~ +5V, +/- 5V, 0 ~ +10V, +/- 10V, 0 ~ +20mA, +4 ~ +20mA Output types. Supports operating temperature from -25 to 75 °C (-13F ~ 167F). 4-channel 14-bit analog output module. Supports 0 ~ +5V, +/- 5V, 0 ~ +10V, +/- 10V, 0 ~ +20mA, +4 ~ +20mA Output types. Supports operating temperature from -25 to 75 °C (-13F ~ 167F). 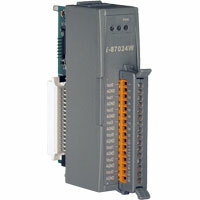 I-87024W is a serial interface and 4-channel analog output module. The programmable analog outputs are 14-bit resolution and offer 0~5V, +/-5V, 0~10V, +/-10V, 0~20mA, and 4~20mA. I-87024RW improves better output quality in radiate environment.